Arianna Huffington is the President and Editor-in-Chief of The Huffington Post Media Group, a nationally syndicated columnist, and author of thirteen books. In May 2005, she launched The Huffington Post, a news and blog site that has quickly become one of the most widely-read, linked to, and frequently-cited media brands on the internet. She was named to the Time 100, Time Magazine’s list of the world’s 100 most influential people, and to the Financial Times’ list of 50 people who shaped the decade. Originally from Greece, she moved to England when she was 16 and graduated from Cambridge University with an M.A. in economics. At 21, she became president of the famed debating society, the Cambridge Union. She now serves on several boards that promote community solutions to social problems, including A Place Called Home, which works with at-risk children in South Central Los Angeles. 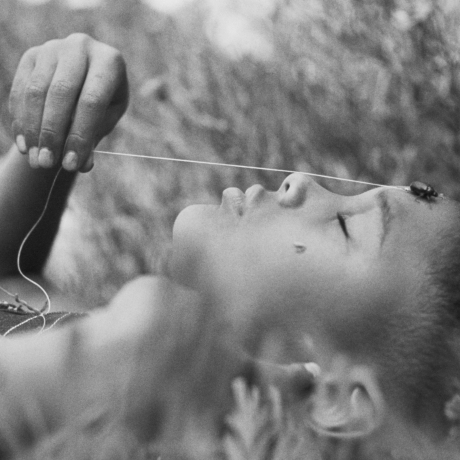 "Gordon Parks caught our conscience through his images, words, and his music." The third Gordon Parks Awards Dinner honored Arianna Huffington, Karl Lagerfeld, Spike Lee, Sir Ken Robinson and Stephanie Winston Wolkoff. The Awards were presented by Tim Armstrong, Blue Man Group, Richard Plepler, Emily Rafferty and Ingrid Sischy. Iman served as Mistress of Ceremonies. The Foundation also launched the HBO/Gordon Parks Film Scholarship which was awarded to Alma Rosario, a student at the Ghetto Film School.